Why Book Nepal Tours with Us? 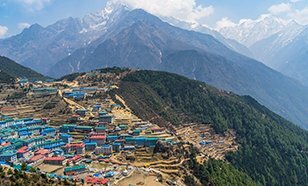 With soul-stirring landscapes, incredibly rich heritage and heartwarming culture, Nepal welcomes its visitors with open arms. 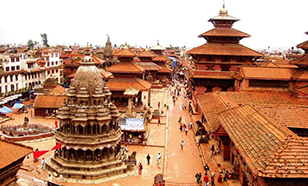 Explore the rich Hindu and Buddhist culture with our Nepal tour packages. We at Tour My India beautifully craft your holiday package so that you can experience valiant Sherpas, dense forests, lofty peaks and many other spiritual and architectural wonders. We understand that Nepal is backpackers’ and trekker’s paradise and therefore we prepare the adventure-filled travel itinerary for people who love the thrill and include a number of treks where a traveller can be closer to the pristine Himalayas. Take your adventure to new heights and experience, not just majestic mountains like Everest but also the culture of the region along with mountain peaks, valleys and glacial moraines. Take our Everest Base Camp trek or Annapurna Circuit trek and experience something like never before. You can also book with us a family travel package to Nepal and wander around in the country witnessing the UNESCO-listed World Heritage Sites, Chitwan National Park, and Sagarmatha National Park, Kathmandu valley and so much more. 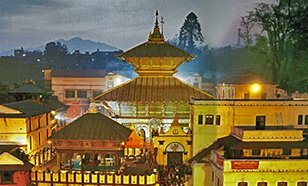 The country also lures pilgrims who visit Pashupatinath Temple, Guhyeshwari Temple, Dakshinkali Temple and other holy sites, therefore we also arrange spiritual tours to Nepal for all those whose sole purpose to visit the country is to soak in spirituality and carry out their pilgrimage in peace. We offer the best honeymoon tour packages to Nepal for all the newlyweds, because what else can be more beautiful than a perfect romantic setting in a seclusion? Bandipur, Ilam, and Basantpur are few of those picturesque hill stations where a couple can simply enjoy togetherness. Nepal is indeed a destination for all, and with our holiday package every type of traveller can get the best of this Himalayan destination. In Janakpur one can still witness the Maithili culture as the city was once the capital of Mithila. Although the territory has got divided now but still many people speak Maithili even today. The city has developed a lot over the years and is visited by many tourists from far and near. 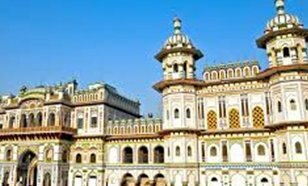 One of the best places to visit in Janakpur is the Janak Mandir, which is the finest example of exquisite art and architecture of Nepal. This temple is dedicated to the wife of Rama, Sita and is built in Mughal style. Kathmandu, the major tourism destinations in Nepal, is believed to have been established in 900 BC making tourism the center of its economy with the best advanced infrastructure than any urban area in Nepal.The tourists are lured to sightseeing in the city because of the rich history which is accounted to be 2000 years old, as concluded from the inscription found in the valley. It is a trekking and mountaineering base and undoubtedly one of the best backpackers’ destinations in the world. Nagarkot is a small town situated in the Bhaktapur district of the Bagmati zone of the country of Nepal. 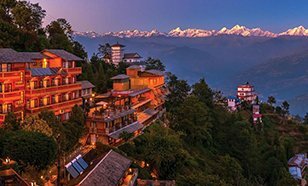 This small town has successfully preserved its raw and pristine nature, far from the remodelling of “a city.” A very good view of the Kathmandu valley can be obtained from the strategic town of Nagarkot. Due to this important location, the town used to serve as a fort, to watch over activities happening in the valley. The town is well known for its scenic beauty. A greater part of the Himalayan peaks can be viewed from Nagarkot. The panoramic view of the golden sunrise and sunset over the snow-clad Himalayan peaks is among the many wonders that a nature lover would be able to cherish, once in Nagarkot. Going back in time, Namche village was a popular area for trading of goods. The people at higher altitude would trade yak butter and cheese for agricultural grains grown on the lower altitude. Conversely, after Tenzing Norgay’s and Edmund Hillary’s success on climbing the Mount Everest in the year 1953, the place has become a hub for climbers and trekkers thus making it one of best places to visit. At first, the group of trekkers came in trickle but now, the whole of the village is over-flowing with them. 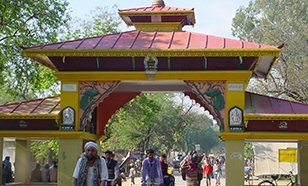 Nepalgunj which is the centre of mid-Western Nepal comprises of some of the best places to visit for the tourists, some of which are Gharbaritole, Ganeshpur, and the famous Sadar line. One can trek to Mansarovar Lake from Nepalgunj to see the beautiful huge mountain ranges. The scenic beauty around the lake mesmerizes the travelers. The must-see places in Nepalgunj are the Shey Phoksumdo Lake and Shey Phoksumdo National Park. The water of the lake is blue in color and is crystal clear. The view of the surrounding is so beautiful that it is apt for photography. Pokhara, a home of the Gurkha soldiers is the most expensive city in Nepal and the second expensive place after Namche Bazaar with the cost of living Index ranging to 95. 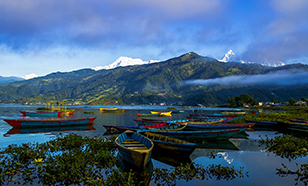 Pokhara is located in the north western corner of the Pokhara valley. Its porous underground favours the formation of many caves and lakes making it one of the famous tourism places in the country of Nepal. The Pashupatinath temple which is situated on the banks of the Bagmati River is a very sacred temple of the Hindus. The famous temple is dedicated to Lord Pashupatinath and is visited by many Hindu devotees from all over the world. The building of the main temple of Pashupatinath has a bunk roof and a golden spire. The overall architecture of the temple is a sheer masterpiece. 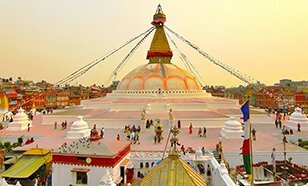 The Boudhanath Stupa in Nepal is the biggest stupa and is one of the holiest Tibetan Buddhist Temple which symbolizes the rich Buddhist culture and art. It is located in the Boudha town which is on the eastern outward side of Kathmandu. The Stupa appears as a huge Mandala from the top which reflects the Buddhist cosmos. Like the other Tibetan mandalas, this stupa also has four Dhyani Buddhas and the fifth one is the Vairocana which is placed at the centre of the stupa. Kopan Monastery is situated in the outskirts of Kathmandu near Boudhanath in Nepal. It is a Tibetan Buddhist monastery and member of the FPMT or Foundation for the Preservation of the Mahayana Tradition. 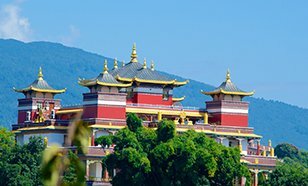 The Kopan monastery which is a Nepal Buddhist Mahayana Center Gompa was established in 1969 by Lamas Thubten Yeshe and Thubten Zopa Rinpoche and is famous for teaching Buddhism to travellers from the western part of the world. It has a range of courses that it offers which first started being held in 1971. Courses combine Lam Rim teachings with informal discussions and guided meditation. Built on a sprawling area of 932 sq metres, Chitwan boasts being a World Heritage Site by the UNESCO in the year 1984. 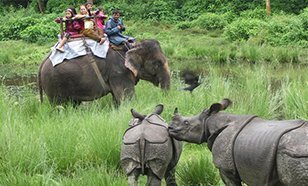 Chitwan once played the role of a hunting site to the ruling class of Nepal during the winters until the year of 1950 when the grasslands of Chitwan enlarged and became home to some 900 Rhinos. Home to 68 species of mammals, followed by 56 species of herpetofauna, 544 species of birds and 126 species of fish. The National Park of Chitwan is the most talked about for its preservation of Gharial Crocodiles, one Horned Rhinoceros and Royal Bengal Tiger. Nestled in the lap of Himalaya, Sagarmatha National has been made the protected area of Nepal and is presided over by the Mount Everest. 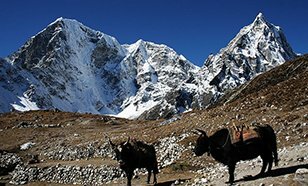 Lying on a sprawling area in the district of Solukhumbu close to the Mount Everest, this National park rakes-off the international border with Tibets’ National Preserve and is one of the famous wildlife destinations. Bird Life International acknowledged this place as the Important Bird Area. Home to a large miscellany of bamboos, birch, blue pines, lichens, mosses and sundry- Sagarmatha National Park is enveloped by the thick vegetation of hemlock and pine besides hosting a thrilling wildlife tour in to the dense jungles.